Maryville Treatment Center is a substance abuse treatment facility located in Maryville Missouri. This treatment center is considered a minimum security institution, and can currently hold 561 male inmates. Maryville Treatment Center is a therapeutic alternative to incarceration in prison, putting a strong emphasis on behavioral accountability and completion of the program prior to release. Maryville Treatment Center provides long term (twelve months) substance abuse treatment, and short term six month treatment. While incarcerated here, inmates undergo random and targeted urinalysis drug screenings regularly to ensure compliance. 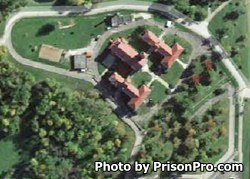 You may only visit if you have an approved Missouri inmate visitors application on file for the inmate you wish to visit. Visitation occurs on Saturdays and Sundays from 9am-5pm.